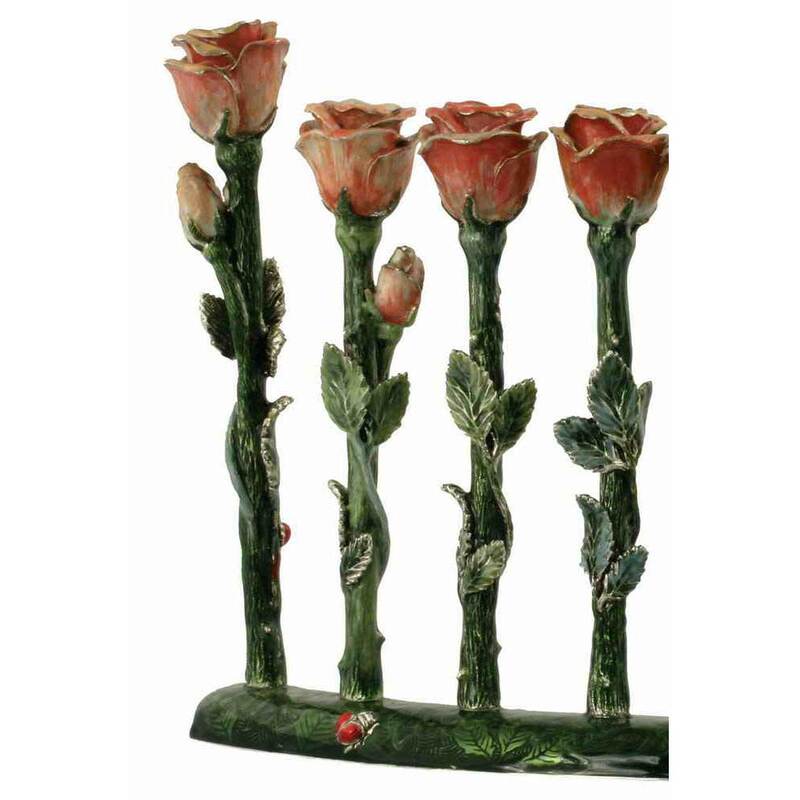 There Is Sure To Be A Special Woman That Would Love To Receive These Fiery Roses For Her Chanukah Gift. 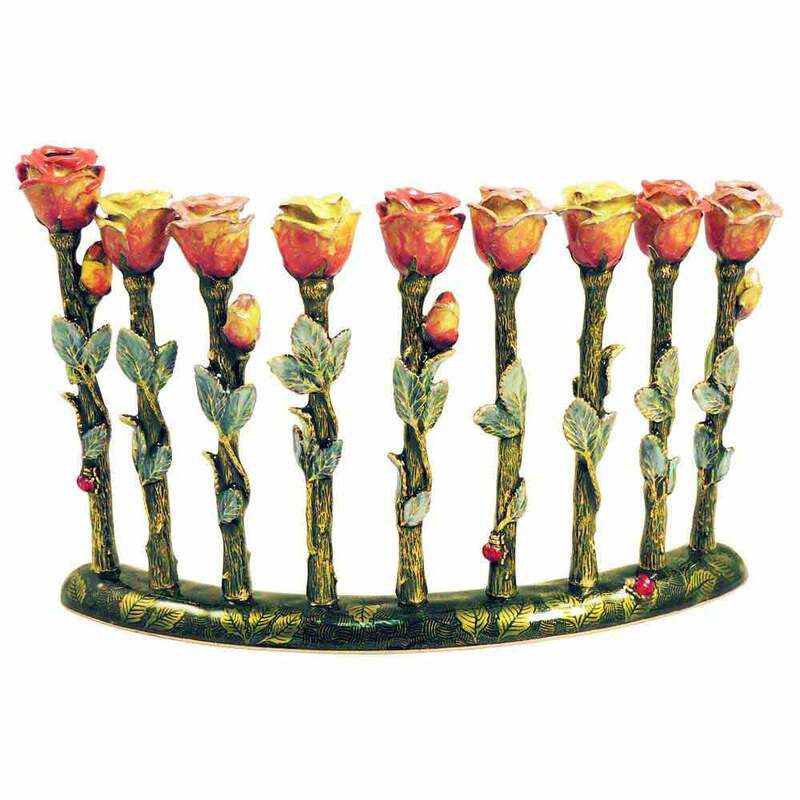 The Attention To Detail With Tiny Lady Bugs Crawling Around The Stems Of These 9 Flame Colored Roses Makes This Menorah A Work Of Art To Be Cherished During Chanukah And Displayed All Year Long. The Menorah Is 8 1/4" Wide x 5 1/2" Tall.